Introducing the Gold medal-winning Allan Scott Family Winemakers Marlborough Riesling 2014. Move over Sauvignon, Marlborough has another wine varietal making waves in the white wine category. Stepping up to the winner’s plate at the recent 2015 Air New Zealand Wine Awards with two gold medals, Allan Scott Family Winemakers (ASFW) is proving that everything happens for a Riesling. Gold in colour with a balance of citrus and spicy floral characteristics that resonate on the palate, the Allan Scott Family Winemakers Marlborough Riesling 2014 is the perfect accompaniment to contrasting savoury or spicy dishes, hard cheeses or even on its own. The grapes, harvested from the site’s “Moorlands” block which directly surrounds the winery, contain some of the oldest Riesling vines in Marlborough and were the first variety planted by Allan and his wife Catherine upon establishing the vineyard. Due to the vines maturity (over 30 years in age) this vineyard consistently produces quality fruit year after year. Head winemaker Josh Scott believes New Zealand Riesling, or as he fondly calls it ‘terrace wine’, is now having its moment in the sun. 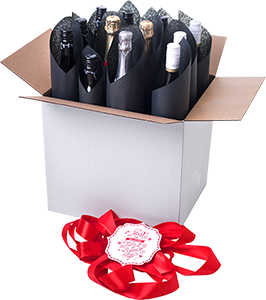 “Rieslings can be a hard sell with many people thinking that their German heritage make them overly sweet. We’re seeing quite the opposite here in Marlborough with our aromatic wines increasingly becoming more dry as the vines age,” Scott says. 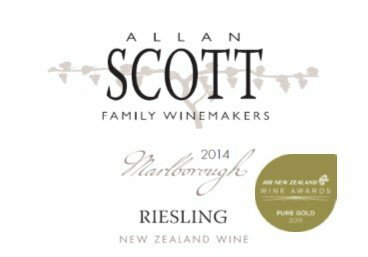 The Allan Scott Family Winemakers Marlborough Riesling 2014 is harvested in the coolness of the early morning and fermented in steel tanks while being tasted until it reaches its optimum residual sugar level and fermentation is stopped. 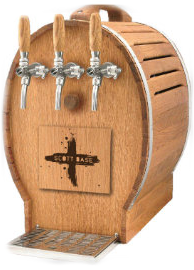 The varietal is available at most leading supermarkets and selected liquor outlets.